Scottish charity Venture Trust has launched its innovative new employability programme to help Scottish youth experiencing challenging life circumstances turn their life around. Commonwealth games mountain biker and adventure cyclist Lee Craigie along with Venture Trust chief executive Amelia Morgan officially set the wheels in motion for the CashBack Change Cycle programme on 22 August at the Hermitage of Braid Nature Reserve in Edinburgh. The three-week programme is funded by a grant from CashBack for Communities, a Scottish Government programme which takes funds recovered from the proceeds of crime and invests them into free activities and programmes for young people across Scotland. 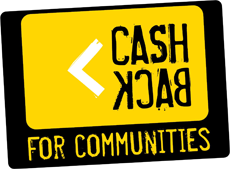 The CashBack Change Cycle programme will give more than 200 vulnerable young people aged 16 to 24 from areas of deprivation across Scotland the tools to move into education, training, volunteering, work experience or employment over the next three years. The elements of the course include employability sessions, bike construction and maintenance including workshop experience with The Bike Station and a short wilderness residential that has work-related tasks and biking. Participants – some who have never owned their own bicycle – will get to keep the bike they have built and use it for job hunting, accessing services, training, getting to work and leisure. Lee captivated those at the launch, including future programme participants, with inspirational tales of determination and willpower from her recent endurance race – the Tour Divide. The Tour Divide is an ultra-cycling challenge to pedal solo and self-supported the length of the Rocky Mountains, from Canada to the Mexican border where riders have to test themselves against mountains, deserts, bears and rattlesnakes. She spoke of her days as a teenager when she struggled to “fit in” and how getting on a bike put her on the road to a future she wanted for herself. A bike could be more than just a piece of equipment used for riding from one place to another, Lee said. It could be used “to change your life”. She encouraged those about to do the CashBack Change Cycle programme to think about the transformational powers new skills, motivation, determination and two wheels had. Many young people in Scotland still face barriers to gaining employment. These include drug and alcohol addiction, a criminal record, homelessness and other issues and it is important they have the support to make positive changes.